I have been a patient of Dr. Keller's for well over 10 years. I was his patient at Denver Family Medicine and followed him to his current practice (even despite having to pay some out of pocket to be a member). That is how great Dr. Keller is. He never fails to impress me how much he remembers about me and my family. His relationships with his patients reminds me of what my grandparents had back in the day. It is refreshing and in my experience pretty rare. With his current practice, I like that I can email him questions and he responds to me directly. As a health care professional, I appreciate that Dr. Keller respects my own expertise and is open to all my questions and concerns. Even more than that he is approachable and kind. I highly recommend Dr. Keller, he truly is a rare find. Dr. Keller and Heather have a great practice they have treated my husband and I for almost 4 years they take the time and really care about their patients I would recommend putting your name on their waiting list as they are so concerned with treating patients and are dedicated never have I called a Dr and on vacation calls me back personally! He's the best primary care doctor in Denver. He's been instrumental in saving my husband's life not once - but twice. You can't put a value on that! He and his team are amazing. Dr. Keller is fairly awesome, if I don't say so myself. He takes the time to get to know his patients, he asks lots of questions and answers even more. I never feel rushed at appointments. I leave there feeling as though all my concerns have been addressed. Truly a rare find in these crazy times. I have been going to Dr.Keller for at least 15 years and I must say his passion for his clients and Medicine is unmatched! My whole family goes to him and they would say the same about him and his staff. We need more doctors like him in the world. I would give him 10stars if I could. I would HIGHLY recommend Dr. Keller to anyone who wants that personal relationship with their Dr. who actually cares and listens and provides accurate diagnoses. Dr. Keller is truly the most talented and caring healthcare professional our family has ever had. His alternative billing model, while requiring additional insurance for specialists, has been affordable. Dr. Keller and his medical assistant have extensive, convenient hours. We never have to wait days for the care we need, which often ends up eliminating the need for extra co-pays and specialist care. Dr. Keller takes a holistic, long-view approach to your family's health and well-being. We highly recommend him. I am continually impressed by the care and attention I receive at Summit Primary Care. Dr. Keller is kind, patient, knowledgeable, and thorough. I always feel comfortable and safe, and appreciate that he takes the time to listen and understand not only my current symptoms, but my medical history and surrounding circumstances. He has also gone out of his way to help me find affordable treatment options. Additionally, the office location is convenient and parking is free and easy. Dr. Keller has been my Concierge Dr. for a year now and I love the service and convenience. He's very patient, and willing to listen to detail. I've appreciated having him vs a normal family Dr. that treats you like an average patient. I'm very active, been doing Jiu Jitsu for 10 years, have a family of 6 and a business that I own/operate. My health is my #1 concern and Dr. Keller brings me that peace of mind Everytime I see him. I highly recommend him as a Concierge Doctor. However, he might be booked by now with patients. I found him to be a lucky find for me and my family. I had my first appointment today. I'm so happy I decided to have Dr Keller as my doctor. I work in the medical profession and I see doctors who don't care and I've had hurry up see next patient doctors myself. This appointment was the total opposite! Dr Keller cares and asks for a full history your life and all not just about why you are there, but who are you as a person. If you are tired of having a doctor that doesn't seem to get you or listen please see this great doctor! The office is beautiful and very clean! Heather at the front desk is just as caring! I haven't been happy to see a doctor for myself in years! Glad that's changed!! Dr. Keller is an excellent doctor! He recently made the change from accepting insurance to a "Direct Primary Care" model. At first, I was skeptical, but it has proven to be a great change, allowing for much more time with Patients and easier communication. Dr. Keller listens to everything you want to ask about, and is professional and compassionate. Heather, who also works in the office, is super nice. Glad to be seen by Dr. Keller for 10+ years! If you are looking for a lifetime doctor that will give you the time you deserve, (honestly an hour +) each time I have an appointment to actually understand what is going on, than Dr. Keller is right for you. He is understanding, he cares, he provides you with information / shows you different studies and background information to help a patient such as myself understand why different things or illnesses can occur. Hands down, my doctor as long as he is in practice. Also to mention, appointments are easy to get and his hours will fit the busiest of peoples schedules. Kindness, sincerity and compassion are all words which can't even adequately describe the sheer "awesomeness" of Dr. Keller. It is rare to find a physician with such a genuine moral and ethical compass, who is able to marry that with being a true expert in his field. Our whole family is blessed to patients of his amazing practice! Best Doctor Ever! Dr. Keller listens, is compassionate, supportive, responsive, and truly cares. And what Doctor do you know picks up the phone and takes the time to actually talk to you? Dr. Keller does! And Heather is amazing. I followed Dr. Keller from his last office and continue to be impressed by his business model. It's nice to finally have a team I can count on when it comes to my health. Dr. Keller has been my MD for 11 years and I cannot say enough about my countless examples of his quality of care and distinguished expertise in all areas of medicine. What sets him apart from other medical professionals is that while he stays current with all medical standards of care (which I imagine would equate to 100 hours per week alone!) he takes the time to listen to my concerns and treats all of his patients like they are his top priority. When I need medication he prescribes the appropriate type and dosage, and when he believes it's not necessary recommends other forms of treatment. He makes himself available to consult with any other practitioners you may be working with, and has always referred me to the best specialists like a dentist, physical therapists, and gastroenterologist (he knows EVERYONE! ). Most importantly he is kind, empathetic, and passionate about your needs as a whole person not just a medical patient. Thank you Dr. Keller and your staff for all that you do each and every day keeping us all healthy as can be! As a physician who has worked personally with Dr. Keller, I have seen what an incredible physician he is. He really loves his patients and what he does. He's positive and supportive, even to his fellow physicians. Heather is also superb at patient care and is so kind. ​This is my second review for Dr. Keller and his office. The first was glowing, and a year later it remains glowing but I felt I should mention some benefits I received through his unusual arrangement. For a monthly payment of $89, almost everything is covered. I recently went in for a full body exam to see if I had any basal skin cancers and Dr. Keller did a biopsy on one growth that did turn out to be malignant. I only had to pay for the outside pathologist. And then Dr. Keller did the excision -- seven stitches for no extra cost. These two visits would have cost hundreds of dollars under typical corporate medical systems. But more importantly, the good doctor handled all of this with great skill, a warm bedside manner and excellent communication in all respects. I felt I was getting the Rolls Royce of medical care. I would also like to mention that a few months earlier I had a fling with shingles that were similarly treated in fine fashion at no extra cost. During all this time, the doctor's able assistant, Heather, was charming, warm and efficient. I am so glad I signed up for Summit Primary Care. Dr. Keller is a phenomenal doctor. He's attentive, compassionate, and proactive. In addition to being a genuinely wonderful human being, he's also an informed and highly knowledgeable physician. ​Best Doctor Ever! Dr. Keller listens, is compassionate, supportive, responsive, and truly cares. And what Doctor do you know picks up the phone and takes the time to actually talk to you? Dr. Keller does! And Heather is amazing. I followed Dr. Keller from his last office and continue to be impressed by his business model. It's nice to finally have a team I can count on when it comes to my health. 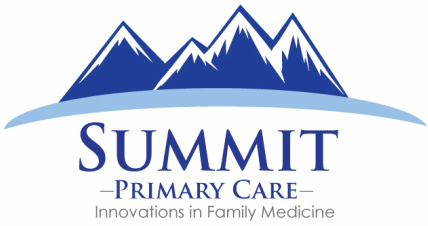 Summit primary care is great! The staff is always friendly and knowledgeable, and Dr. Keller is super smart and compassionate. Their medical model was a good fit for me because I really like having a doctor I can contact with a quick phone call or email. The price is affordable too! Thanks Dr. Keller! I've been seeing Dr. Keller for - gosh, I don't even know how many years now - but when he opened his practice here at Summit Primary Care, I didn't even question following him. I brought my husband, too. Dr. Keller's level of care and his willingness to get to the bottom of any issue goes above and beyond anything I've ever experienced with any other provider, and his bedside manner simply cannot be matched. I've never felt so comfortable discussing ANY issue with a healthcare provider in my entire life, and I feel like Dr. Keller cares about how I feel, physically and emotionally. He's just the best. And don't get me started on Heather... She's the backbone of his office and it's always a delight to be in her care. We continue to tell everyone we know about Summit Primary Care, and I'm just so happy that Dr. Keller made this move from his old practice! Looking for a primary care doctor? Then Dr Keller should be the first person you call. I've been his patient now for over four years and when I found out he started his own practice, it was a no-brainer to follow him to his new practice. I have health insurance and even though no insurance is accepted at his practice, I'm paying his monthly membership without hesitation. He is friendly, he listens, and is genuinely concerned about your health and well being. Do yourself a favor and give him a try if you're looking for a health care provider. Dr. Keller and Heather are amazing. I followed Dr. Keller from his last practice because I like him so much as a doctor: he explains this, listens to problems, talks through solutions, and is a compassionate, caring Doctor. I would easily recommend Summit Primary Care to anyone and everyone! Dr Keller is the best Doctor I have ever had! Dr Keller takes his time to know his patients, he is also a great at listening to what a patient is saying about their health. After checking out a half dozen other possibilities, I signed up with Dr. K. and was incredibly happy with my first annual check up and the way his office charges for services -- a monthly fee that is very reasonable. I had been shocked by the fees of other medical companies in Denver and put off by the somewhat bureaucratic nature of their intake procedures and office staff. The first time I called, Dr. K actually answered the phone and charmingly explained their approach to care and their fees. That was first in my long (70 year) life! And it reinforced what other Yelpers had said about him and his office. Yelp was part of how I found him in the first place. And then I had the annual and was very impressed by his manner, his skill and his intellect. He started by asking me to tell him about myself. I jumped into medical background, but he stopped me. "I want to know who you are." Another first! A doctor who understands how personality and character influence health. I may be 70 but I run 5 times a week and did marathons until 2011. He should know that. And he does. Most doctors would skip that personal stuff and in some corporate medical groups, they'd be watching the clock, needing to move patients along quickly. This was the opposite. So then we had the medical background and the actual examination. It has been 25 years since anyone examined me so thoroughly. Really. The contrast with my most recent doctor was pretty dramatic. She was great but rushed. Dr. K. took his time and was very thorough. But then we came to the disturbingly high blood pressure readings from earlier and he rightly took them very seriously. Should have seen his face when I told him I'd never take pills for that! We had an earnest and respectful discussion of lifestyle as a way of fixing such issues. I felt my point of view respected but he also pressed his point of view. I went home, purchased a monitor and found those readings to be spikes probably based on too much sodium in that day's soup. But I also decided to eliminate caffeine and reduce alcohol so my readings are actually not so bad now. Subsequently we've had several email exchanges on this issue and exchanged links to scholarly studies. This man is a thinker. And the way his practice works, his mind is open to smart strategies to protect health. Email with your doctor? That is also pretty rare. Bedside manner? Off the scale! Following Dr. Keller to his new practice was a great decision for my family and I. The office is centrally located (with plenty of parking) and his office hours make it easier for us to see him, especially with our 8-5 work schedule. No hassles at the reception counter and we did not have an exceptionally long wait before we were taken care of. Dr. Keller is knowledgeable and caring, he listens to my concerns and is just a great doctor. I was referred to Dr Keller and he is just wonderful. He cares about his patients and really listens. Very thorough annual physical exam... I've found our family doctor! Dr. Keller is amazing. He is, by far, the best family practice doctor that I have ever been to and I have now been a patient of his for almost 7 years. He is kind, attentive, and genuinely concerned for my health whenever I see him or I have a health issue come up. He will not rest until we have figured out the whole issue and I am back to normal or am well on my way. I am so grateful to have found him. One of the few doctors left that actually cares about his patients. Kind, caring, courteous and very intelligent and accurate. Enough good things can never be said about this wonderful man. ...I saw Doctor Keller, who came highly recommended by many of my friends at work. I am used to being rushed through doctor's appointments and so I launched into the condensed version of why I was there. Dr. Keller stopped me and told me he wanted to hear my life story, and he was sincere. He took the time to have a real conversation with me and made me feel very comfortable. He also presented the various treatment options available and we made the decision together. All in all, it was a great experience and I am happy to have found my new doc! I moved to Denver about 5 years ago and was referred to Dr. Keller. He is a fantastic doctor and I've referred at least 10 people to him. Had an rather unpleasant problem, but Dr. Keller handled it perfectly. He really took his time to get to know me and my situation. That makes all the difference in the world. I had a really good feeling that I'm taken care of. Doctor Keller is awesome! He always listens to concerns, even when they may seem a little silly, and answers questions truthfully and honestly. I've been seeing Dr. Keller for a number of years, and plan on seeing him as long as he's in Denver! Dr. Keller is great - compassionate and very knowledgeable. Put me at ease right away. His staff is also wonderful. Give him a try! I have gone to Dr. Keller for 7 years now. He has been a great and thoughtful. Both knowledgable and caring. Dr. Keller is the best doctor I have ever seen. He is kind, caring, knowledgeable, and listens to all of your concerns. I started seeing him about five years ago. Now, my husband sees him. I highly recommend Dr. Keller. I was the last appointment of the afternoon and Dr. Keller surely wanted to get home, but he did not rush through the appointment at all. He addressed the issues, diagnosed the problem, suggested causes and solutions, prescribed medication to solve the current problem, and presented a plan if the aforementioned solutions didn't work. He was very professional, approachable, and knowledgeable and put me at ease instantly. A great doctor! I am very pleased to have found Dr. Keller about 3 years ago. He is a great doctor. Very easy to communicate with and is knowledgeable about all things medical. Dr. Keller is extremely professional and very caring. I have been seeing him for several years now and I have never left his office feeling like I wasn`t clear on what was going on with my health. He is exceptional at making sure that he is very clear and concise in his diagnosis of you and what your plan is to be once you walk out of the door. Dr. Keller is one of a kind!!! Whenever I visit Dr. Keller, I never feel rushed out. He takes the time to listen and seems to genuinely care. It doesn't help that is very smart and an excellent clinician. I have sent several friends to him and they feel the same way! Great Doctor. Dr. Keller took the time to get to know me on my first visit. He is compasionate and seems to be very knowlegdeable in all aspects of general medicine.